Location: This internship can be remote-based during school time; during summer vacation, the interns will have a chance to work in one of our local offices: Herndon, Virginia (D.C Area); Los Angeles, California; San Jose, California; New York City, Chicago; Illinois, Dallas, Texas. Duration:2019 May — 2019 Oct, Part-time (10-20h/Week, Campus Based, schedule negotiable) Internship performance measurement will be carried out at the end of the internship to decide whether China Telecom Americas will extend the internship or consider for full-time job opportunities. China Telecom Americas is seeking influential, outgoing and socially connected leaders on campus to be an integral part of an extraordinary nationwide campaign aimed at spreading awareness and excitement of China Telecom Americas’ mobile business among Chinese students and Chinese residents who are currently living in the U.S. This position will support China Telecom Americas Mobile team with a campus-focused nationwide mobile campaign. Through successful marketing strategies, on-campus events and social networking activities, the Business Development Intern will have the unique opportunity to help shape the marketing strategy of local areas and be exposed to a higher level of responsibility than at a typical organization, taking ownership of sponsorship outreach and development. • Excellent verbal and written communication skills in English and Mandarin required. 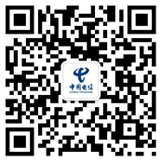 China Telecom Americas is China Telecom’s wholly-owned subsidiary in the US. It provides mainly multinational companies, commercial agencies, and international carriers with local network services in China, and international access to networks in China and the Asia Pacific region.Headquartered in Herndon, Virgina, the company has offices in Chicago, Los Angels, New York, and San Jose, and has branches in Toronto, Canada and San Paulo, Brazil.China Telecom Americas currently provides localized one-stop technical solutions such as local Chinese and international data transfer lines, network data center services, network management, device management, and system integration to enterprise customers.Please refer to our official website for more details www.ctamericas.com. China Telecom Americas officially launched its CTExcel™ Mobile Virtual Network Operation (MVNO) in the US in May 2015, becoming the first Chinese telecommunication carrier providing mobile communication services with its own brand in the USThe CTExcel product series include many communication plans that provide unlimited domestic US calls, unlimited data usage, and international text messages. For more information, please visit the official CTExcel websitewww.ctexcel.us；or follow our Official WeChat Account: CTExcelUS.